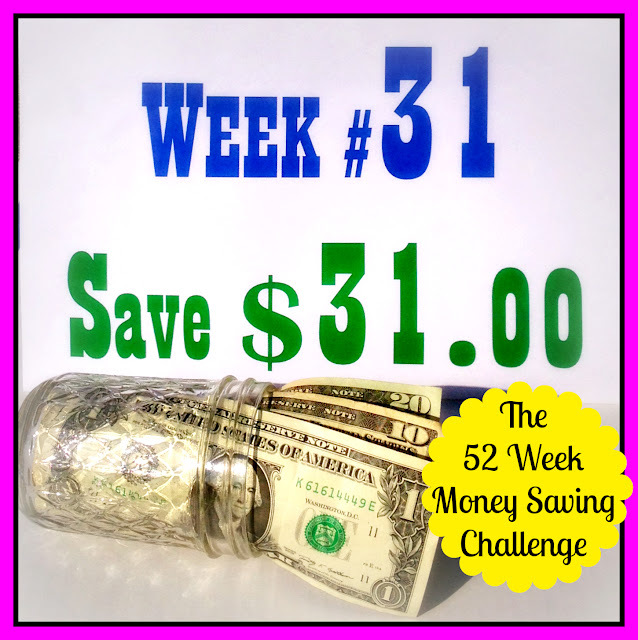 Welcome to Week #31 of The 52 Week Money Saving Challenge. This week we save thirty-one dollars. Our total saved is now four hundred ninety-six dollars. 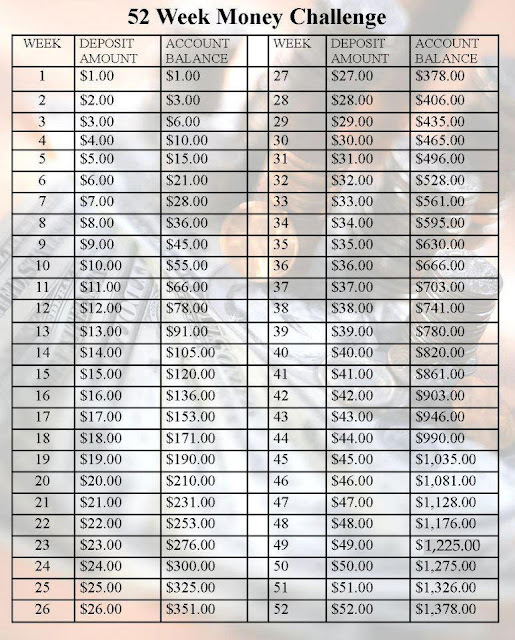 For a free printable Challenge chart, check out Stuck At Home Mom's 52 Week Money Challenge. If you're new to the Challenge, welcome aboard! You can start with thirty-one dollars this week and add a bit extra each week if you want to catch up with us. 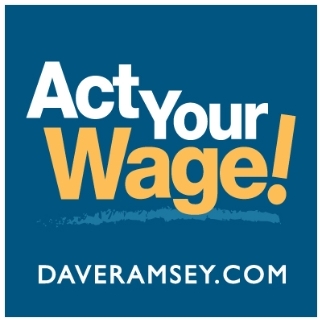 Alternatively, you could begin this week as Week #1 with one dollar. Whatever works best for you is fine. Happy saving!